Can anyone please tell me if these two are the same? The guy at the store tells me that it’s just new label artwork, but the new can makes no mention of being EF, where the old one seems to highlight it as being a distinctive feature. Maybe they switched to environmentally unfriendly water. I’m also concerned that there’s no mention of it being gluten-free and non-GMO. GF has switched up a lot of their labels. I see one online and different one at the store. Same stuff though. The one on the left is labeling they’ve been using for several years and is on their website now. Is the one on the right old? 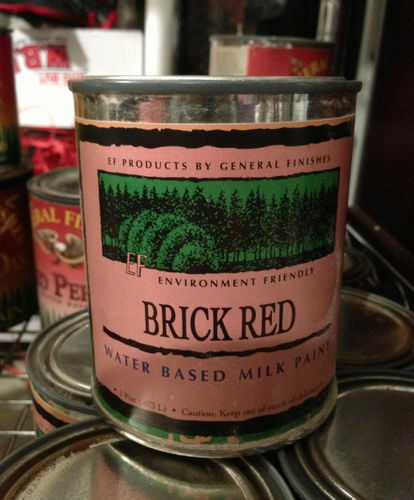 I’ve never seen a label like that. 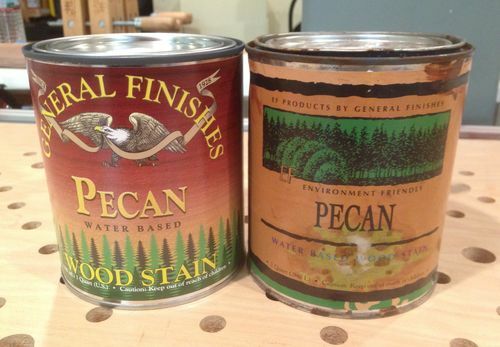 Water based for GF has always been eco-friendly for as long as I can remember, whatever the heck that means. Contact Gen. Finishes in Sun City Iowa. They have a huge plant there. You can take a sample of a finish that you’ve had good luck with, they’ll make you more. Some of the most “high tech” analyizing gear I’ve ever seen. per GF, the RT label is approx 10 years old, basic same product, but formulations have changed and doubt ful its an exact match to the new one . thanks for your reply Charles… I guess there’s just no cutting corners, and as usual, the proof is in the testing.